Live by the sea, serve lobsters, just clawing for a good promotional giveaway? Cultivate good humor with a lobster stress reliever. 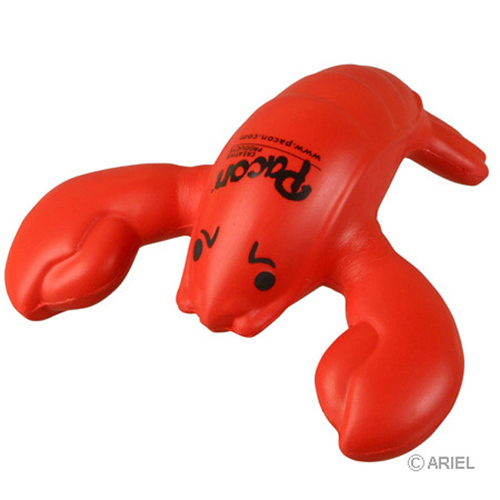 Clients will want to get their claws on this fun giveaway!This lobster stress ball is fun way to promote your brand. A great way to advertise the grand opening of a restaurant or resort, this 4 1/2" x 1 1/2" x 4 1/4" stress reliever also makes a great handout at trade shows and conventions. Safety tested, this item is intended for adults or for general use by consumers of all ages. Not intended for children under three years old or for pets. Bulk / 23 lbs / 250 pcs. / 24 x 13 x 14box.